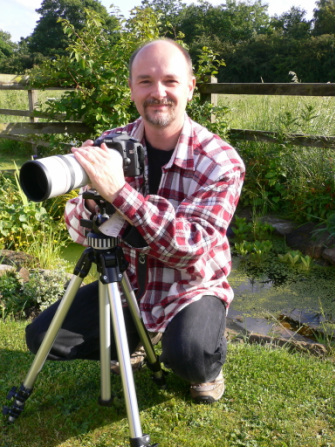 - Pleased to announce that I'm working with Phil Sproson/ Villager Jim delivering photography training days in the beautiful Derbyshire countryside. Dates are on the Villager Jim website. - I'm delighted that Derbyshire Wildlife Trust are now selling a range of my prints at their shops in Belper and the newly opened Bakewell shop. I'm fascinated by the beauty of our world and try to show this in my images. ​I'm not into studio stuff with fancy lighting....I'd rather let nature supply the light and I'll work with that. The tabs above will guide you to what is on offer for sale. There are prints, with or without mounts, greeting cards and canvases. outdoors taking nature and wildlife photos, please contact me to discuss your requirements. Sun 26th May - Sun 2nd June. Medley Arts Exhibition. In Falcon Yard, right in the heart of Chesterfield. This lovely little shop has hand-made gifts made by local crafters and artists. Belper: On the main road in Belper town centre. Bakewell: On Matlock Road in the middle of the row of shops. Derbyshire Wildlife Trust's newly refurbished building in the old station house in Matlock Bath. Contact form. Please use this for comments or queries.